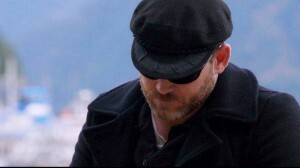 In Season 8, we see Benny trying to do the right thing by abstaining from blood and going back to his roots/family, Sam trying to do the right thing by leaving Amelia when Don came back (Don was also trying to do the right thing when he went to war) as well as by helping Dean find Kevin, Cas is still trying to do the right thing in order to pay for his crimes, Dean is trying to do the right thing by helping his friend Benny stay clean and saving the world, and Kevin is trying to do the right thing by helping the Winchesters. What we find out this ep, maybe, is that there may be many things that could be the right thing, but whatever you decide, your heart has to be in it completely. 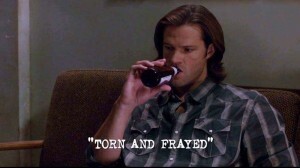 This ep, Sam, Dean and Kevin all let go of something in order to put their whole heart into what they have chosen. This is not the main plot. The main story is about Cas, Samandriel and the angels and the reveals regarding angel programming and Cas’ programming as well as the angel tablet. I’ll have to say though that the Sam/Dean issues and scenes at the beginning and end are what make this ep special for me. I LOVE the Road So Far(link to youtube vid)in this ep, with all of those scenes to the music of Katmandu: Scenes from Purgatory, Kevin killing demons with his special potion, Benny killing Martin etc. and showing the importance of “Doing the right thing theme” theme here is the scene between Sam and Amelia, where Sam is leaving, and explains that … you guessed it... I’m just trying to do the right thing here. The episode itself starts with Alphie/Samandriel trying to send a message to Naomi. 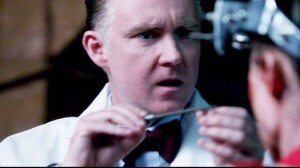 He gets one warning out before the “doctor” finds him and puts the nail like thing back in his head… ug. This is so painful both here and later on in Season 9 too. I really don’t care to watch it. 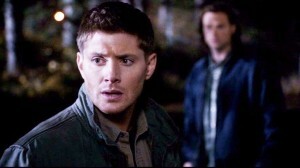 Then we see Dean going to Kermit to explain to Sam what happened, because Sam hung up on him. Unfortunately, the visit goes just as bad as the phone call. 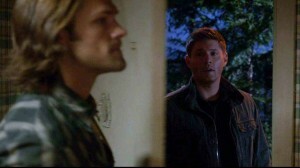 Sam doesn’t expect Dean when he first opens the door. We know that he was expecting Amelia. 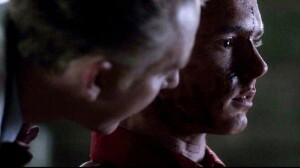 Dean explains how Benny killed Martin from self-defence and Sam says he can’t accept that Dean is taking a vampire’s side. 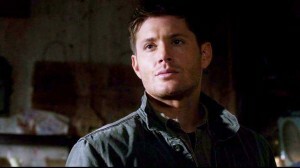 DEAN: Like it or not that’s the truth, and there was a time that that meant something. 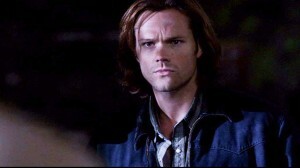 SAM: You think that this is just about Benny? More than that, Sam says he is angry at Dean for making him believe that the woman he loves might be dead in order to save a vampire. 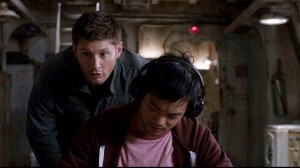 DEAN: If you had just heard me out, if you had just listened, all of this could have been avoided. 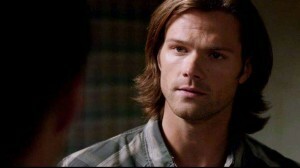 SAM: You don’t want me to trust you, you want me to trust Benny and I can’t do that. 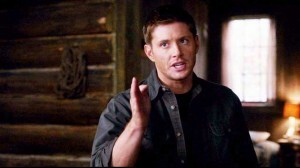 If Sam trusted Dean, and believed him when he said that it was self-defense, he’d be able to accept his word on Benny. 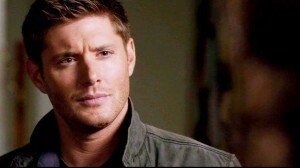 But he thinks Dean is not acting rationally on this regard. All this seems to boil down to the issue of Sam being unable to trust Dean since he came back from Purgatory because he feels he had been open about Amelia while Dean had kept secrets from him. 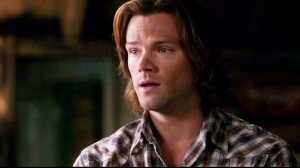 BUT, there is also the issue of Sam feeling ashamed of his relationship with Amelia because of how Dean thought of it. 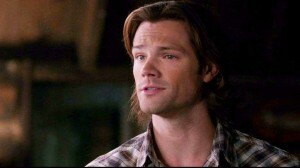 Sam is not feeling guilty for not looking for Dean and leaving hunting for a normal life with Amelia. 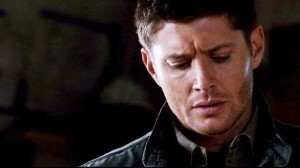 He is, however, feeling ashamed of it because of how Dean reacted to it. Resentment from that would definitely have influenced his feelings against Benny. 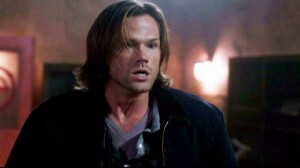 When Dean asks what they are going to do now, Sam asks if he is through with Benny. Dean doesn’t know, so there’s nothing to say. Dean leaves. 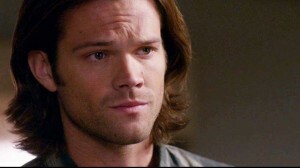 So, Sam gives the ultimatum to Dean while he himself is still undecided about Amelia. I guess if anyone had asked him why the double standard, he would have argued that Benny was a vampire, Amelia a human, totally different situation. On the other hand, I’m sure he was very conflicted about Amelia himself. Although he was trying to do the right thing by leaving, he still really wanted to be with her and couldn’t let go. 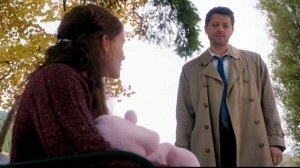 Jump to Cas, healing a sick baby in the park. Naomi pulls him back to heaven and tells him that Samandriel has been snatched by Crowley and to go rescue Samandriel and bring him home. Naomi tells him that he has to say that it was his idea, not heaven’s. Cas comes and invades Dean’s space again telling him that he’s gone back on angel radio because penance has been going well (wow, great lie Cas...) and found out about Samandriel. 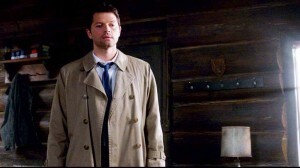 CAS: It seems this is going to involve talking to people. 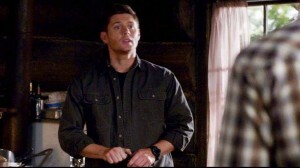 DEAN: Come on Cas, I thought you were a hunter now. They start looking for Samandriel using ripple effects of the torture. 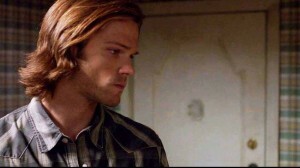 Then we see Amelia come to the motel, just as Sam suspected. It seems pretty clear to me that he very likely ran Dean off because he was expecting Amelia. 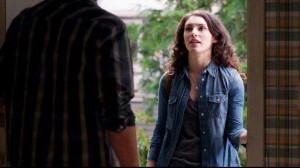 Anyway, Amelia and he have … a fling, because they both have a problem with letting go (just as both Dean and Benny do). 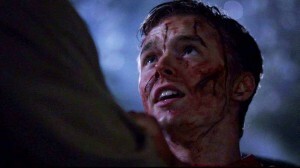 Back to Samandriel getting tortured. 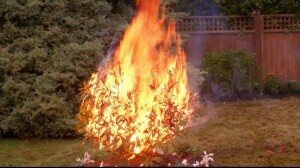 The doctor finds the beginning of the angel conditioning and Samandriel burns up a bush nearby and sends a message. 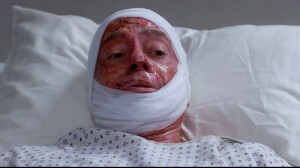 Dean and Cas go to the hospital to visit the guy who happened to be nearby and got burned. 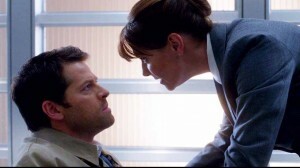 CAS: That’s his serious face, yes. 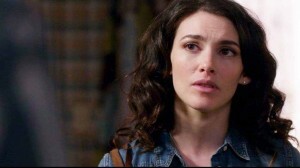 Sam and Amelia have a talk about what to do, and decide to come back to the motel two days from now if they want to be with each other. 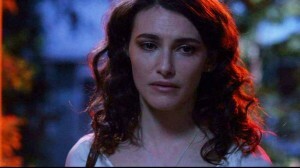 AMELIA:I'm telling you that if you stay, against everything I believe in, I would be with you. But if you leave... don't come back. I can't have you with one foot in my life and one foot out there doing... whatever it is you do. That life of yours I have no idea about. 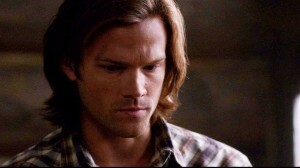 SAM:You don't want to know about it. Believe me. It's a big step. AMELIA:Think about this. Okay. How about two days from now, around 7:30? I'll be off work then. One of us will be here, and we'll know. Neither of us will be here... and we'll know. Or both of us will be here... and we'll know. The underlined portion of this conversation being the key and theme to this ep, the reason that Sam and Dean have to let go of Benny and Amelia if they want to keep on hunting and closing the gates of Hell. Hunting is too big and dangerous a job to have to worry about other people on the side. 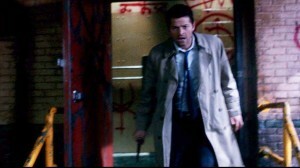 While that's happening, Dean and Cas find the demons in front of an abandoned factory. 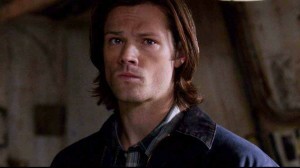 Cas suggests getting Sam but Dean grumpily scraps that idea. 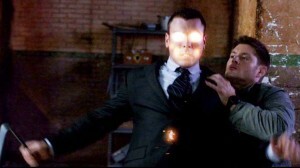 Instead, he takes Cas to Kevin so they can make another bomb - this time Cas gets all the hard-to-get ingredients. 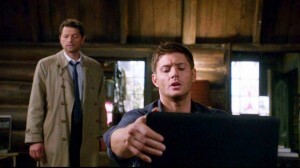 Meanwhile Crowley figures out that there is an Angel Tablet because he can understand Enochian. 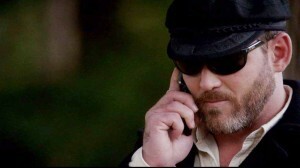 Then Dean gets a call from Benny, asking for some support. And we remember that without his granddaughter, Benny is again on his own without anyone to be accountable to. 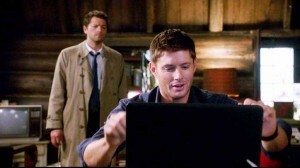 Dean promises to go as soon as he finishes the case he’s on. He turns to Kevin and asks where his mom is. Kevin tells him that he made mom leave because she was getting distracting. Dean says but, she’s family! 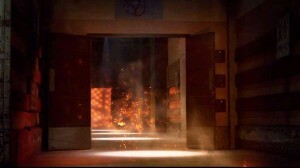 But Kevin is now all about the goal of finishing what he was doing to get rid of the demons. He doesn’t have time to enjoy life. This is very close to what Sam is like(usually), when he has something he is working toward. But more importantly, this maybe makes Dean realize that Benny is a dangerous distraction and he should be concentrating on hunting instead. 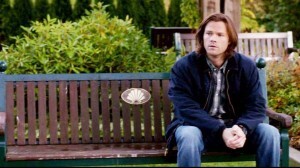 Cas makes a stop at Sam who is “thinking about this” on a bench at a park and watching a happy couple walk by. 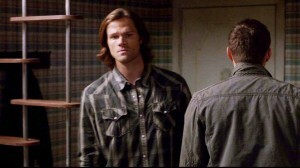 Sam seems to have agreed to help Cas, because he appears in the safehouse with Cas. 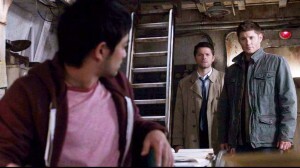 CAS: I need both of you, as they say, to stow your crap. Can you do that? 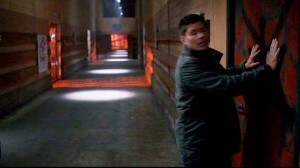 Skipping over to the actual hunt, we have some excellent teamwork as Sam and Dean get rid of the demons outside of the warehouse, then again an excellent scene where Sam gets rid of a couple of demons with a bomb. 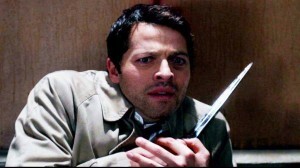 When Cas catches up to them, he hears Samandriel being tortured and he starts remembering scenes of himself being poked by Naomi and can’t move for the horror of it. 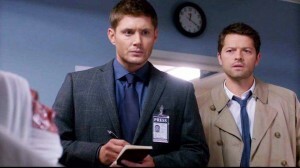 With Cas incapacitated, there is some banter by Sam and Dean that lightens the mood. 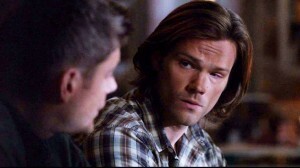 SAM:We have a plan "B"? It takes a while but they actually get in! Once they get in, Cas is able to rescue Samandriel and get out while Sam and Dean take care of the rest - killing the doctor and other demons, essentially, because Crowley has disappeared. But when Samandriel comes to, he tells Cas that they are being controlled by Naomi using their programing and he doesn’t want to go back. 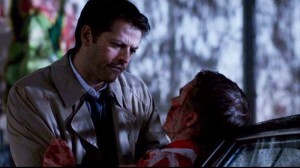 He warns Cas right before Cas is taken back to heaven again. 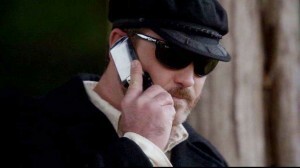 Naomi tells him to kill Samandriel because he was “compromised” and told Crowley about the tablets. I’m suspecting Naomi wants him killed because what he figured out about the programming. She must have done something to swipe Cas’ memory yet again, because he forgets about Samandriel’s warning and kills him, right as Dean and Sam come back. 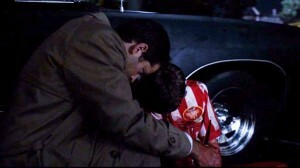 Cas’s eye bleeds as he explains about Samandriel to Sam and Dean. He makes some excuse about his vessel being damaged in the fight, thanks them for their help, then leaves with Samandriel's body, saying he has to take it back to heaven. They are very suspicious about Cas’ actions and after he leaves, they go to the cabin and write out the symbol for angel warding that they learned that day to keep Cas from listening in, then have a family meeting about how Cas has been off since he came back. 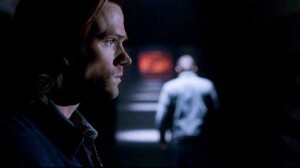 But then Dean stops and tells Sam that he should go. 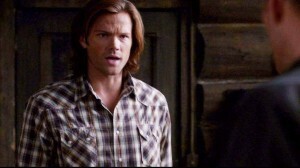 Sam is surprised, and asks since when is Dean on the Amelia bandwagon. 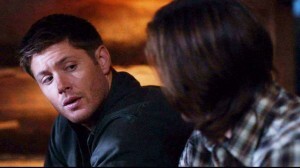 DEAN:You know what, man? I got this. You go. 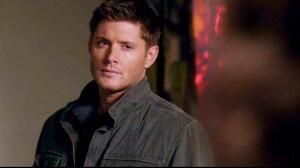 DEAN:Don't you have a girl to get back to? SAM:Yeah. I guess I do. Um... Since when are you on the Amelia bandwagon? 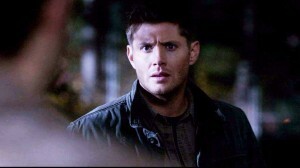 DEAN:I don't know. I'm just tired of all the fighting. And, you know, maybe I'm a little bit jealous. I could never separate myself from the job like you could. Hell, maybe it's time for at least one of us to be happy. 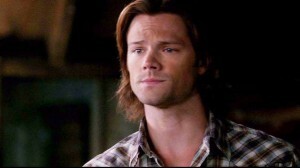 SAM:What, you being such a big hugger and all? She does make me happy, and she could be waiting for me if I went back. I'd be a very lucky man if she was. But now... with everything staring down at us, with all that's left to be done... I don't know. 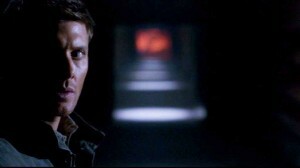 DEAN:Well, I do know this – whatever you decide, decide. Both feet in or both feet out. Anything in between is what gets you dead. SAM:Yeah, I keep hearing that. I'm gonna... take a walk. Clear my head. First, Dean saying “I’m just tired of all the fighting,” is interesting because it seems to indicate that he knows that the real issue is not Benny but Sam wanting to go back to Amelia and have a normal life. Like, he is saying, if being away from Amelia and not having the normal life makes you so unhappy, you should go. Maybe he feels bad for having dragged Sam along on what he thought they should do, when Sam had found another life for himself. Sam is touched by this, and it’s kind of wow for me too because this is really the first time that Dean has let Sam go - despite wanting to be with him. 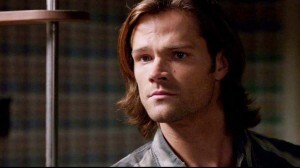 Ever since he came to get Sam in Season 1, he has clung to Sam. It wasn’t all selfish, of course. After they found out about demon plans for Sam it became more about saving Sam than keeping the family together, all the way to the end of Season 7 with Sam dealing with the mental illness of the wall crumbling. But come to think of it, the end of Season 7 signalled the end of everything that kept Sam hunting with Dean even without Dean being blown to Purgatory. Maybe… he would have started to want that normal life even if Dean had not disappeared. 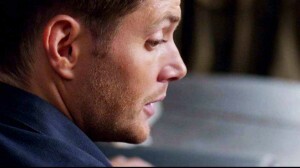 So, yah, for Dean to finally admit to himself what Sam had been trying to tell him all along - that Sam wasn’t happiest being with Dean, that he could be happy in the normal life and that Dean had been forcing Sam to be with him and creating conflict because of it… is a really big moment. He also realizes that if he is going to keep hunting himself, he needs to let go of Benny and go both feet in just as he told Sam and just as Kevin also decided. 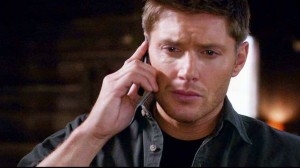 So while Sam is doing that, Dean takes his own words to heart and phones Benny to call it all off, say goodbye. He is essentially leaving an addict on his own to cope in a world full of temptation. 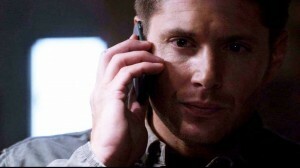 DEAN (on phone):You, uh... You stay good, all right? 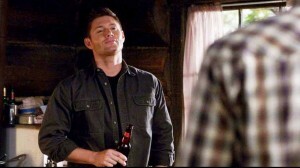 BENNY (on phone):You too, Dean. And, uh... Thanks for the ride. DEAN (on phone):Yeah, man. Adios. Sam also makes the decision to leave Amanda to whatever peril he is afraid of, and his reason is that they still have so much to do. All of a sudden, I’m not really convinced by this reason though… After fighting it tooth and nail, now he thinks that that is a good enough reason? What about all that stuff about other hunters being able to do the job just as well as he could? What about going back to college? What about being happy with Amelia? That’s really weak. We see Sam bringing some bowls of … chili? 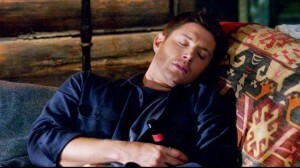 And beer and sitting next to Dean. 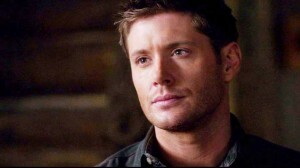 He nods at Dean to say that he’s made his decision and they sit and watch TV together. Interesting here that there is no mention of Dean letting go of Benny. I’m suspecting it wasn’t about Benny at all in the first place.